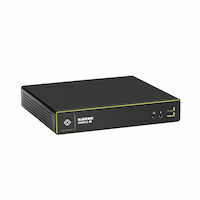 4K KVM Extension and Switching for physical and virtual machines featuring KVM over IP or direct connections. 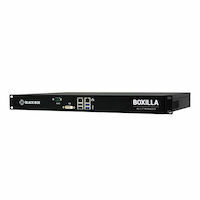 Emerald™ is the first Enterprise KVM Extension and KVM Matrix Switching solution that delivers pixel-perfect video with HD or 4K/60 resolutions over an IP network. Use the Emerald units featured on this page to connect DisplayPort and consoles with resolutions up to 4K/60, transparent USB 2.0 and bi-directional analog audio to your Emerald system. Emerald is the first KVM platform that supports pixel-perfect 4K DisplayPort video at 60 Hz over standard IP network switches using copper or fiber cable. Image transmission with mathematical lossless compression visualizes every single pixel at 60 fps with 10-bit color depth. If you are not ready for 4K yet, start with the Emerald SE options-supporting one or two full HD DVI channels with resolutions up to 1920x1200-and migrate to 4K at your own pace by transitioning individual user groups when the need arises. 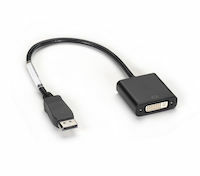 The 4K DisplayPort KVMoIP Extender TX Single-Head V-USB 2.0 Audio comes with a standard 1 Year Double Diamond™ Warranty (Standard) already included. 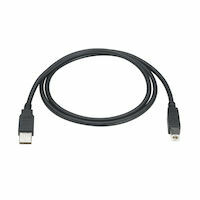 USB 2.0 Cable - Type A Male to Type B Male, Black, 6-ft.